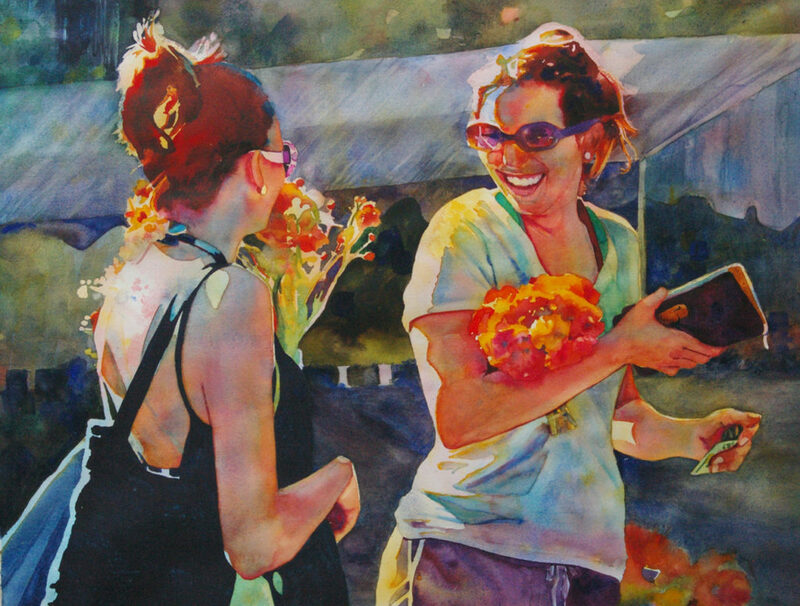 This painting is from one of my happy hunting painting sites, the Santa Barbara Farmers' Market. I like my paintings to suggest a little story and to let the viewers figure out what they'd like the story to be. This title is a play on these girls obviously being buddies and also carrying flowers (buds).